This kinda made my day! The last few days I have been thinking about what to do with my images from Brazil, this year's and last. I would love to have them printed on some beautiful paper and show them. But then I hit a wall and feel lost on how to get it done, correctly. 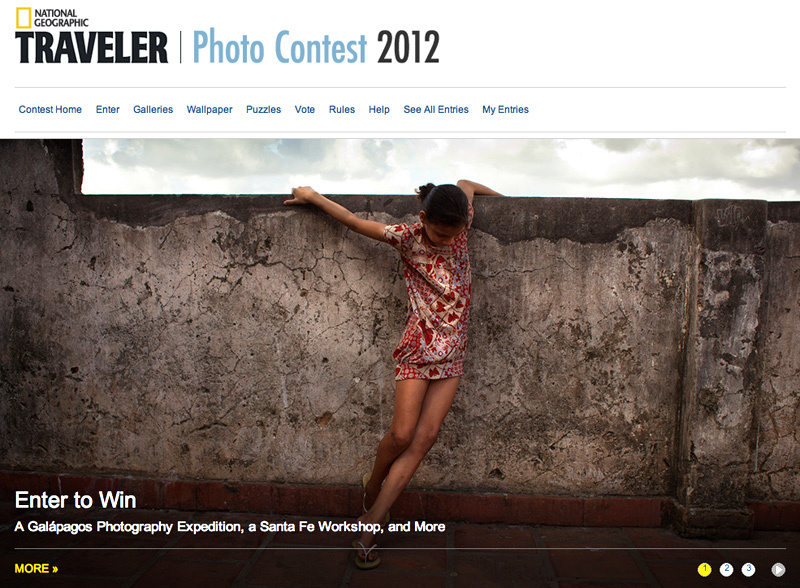 Feeling overwhelmed I entered a few into the National Geographic Traveler contest... and to my surprise found this one on the front page today. Yep, that feels good! So, if you are so inclined, go vote (LINK)! There is also this amazing photo of a boy swimming with a shark by James Morgan that also deserves a 10! Cheers!